Now it is my turn to present the counter arguments against many worlds. All known derivations of Born rule in MWI have (documented) issues of circularity: in the derivation the Born rule is injected in some form or another. However the problem is deeper: there is no good way to define probability in MWI. Probability can be defined either in the frequentist approach as limit of frequency for large trial numbers, or subjectively as information update in the Bayesian approach. Both those approaches are making the same predictions. It is generally assumed by all MWI supporters that branch counting leads to incorrect predictions and because of this the focused is changed on subjective probabilities and the "apparent emergence" of Born rule. However this implicitly breaks the frequentist-subjective probability relationship. The only way one can use the frequentist approach is by using branch counting. Let's have a simple example. Suppose you work at a factory which makes fair (quantum) coins which land 50% up and 50% down. Your job is quality assurance and you are tasked with finding the defective coins. Can you do your job in a MWI quantum universe? The only thing you can do is to flip the coin many times and see if it lands about 50% up and 50% down. For a fair coin there is no issue. However for a biased coin (say 80%-20%) you get the very same outcomes as in the case of the fair coins and you cannot do your job. There is only one way to fix the problem: consider that the world does not split in 2 up and down branches, but say in 1 million up and 1 million down branches. In this case you can think that in the unfair case the world splits in 1.6 million up worlds, and 400 thousand down worlds. This would fix the concept of probability in MWI restoring the link between frequentist and subjective probabilities, but this is not what MWI supporters claim. Plus, this has problems of its own with irrational numbers and the solution is only approximate to some limit of precision which can be refuted by any experiment run long enough. So to boil the problem down, in MWI there is no outcome difference in case of a fair coin versus an unfair coin toss: in both cases you get an "up world" and a "down world". Repeating the coin toss any number of times does not change the nature of the problem in any way. Physics is an experimental science and we test the validity of the theories against experiments. Discarding branch counting in MWI is simply unscientific. Now in the last post Per argued for MWI. I asked him to show what would happen if we flip a fair and an unfair coin three times to simply run through his argument on an elementary example and not hid behind general equations. After some back and forth, Per computed the distribution \(\rho\) in the fair and unfair case (to match quantum mechanics predictions) but the point is that \(\rho\) must arise out of the relative frequencies and not be computed by hand. Because the relative frequencies are identical in the two cases \(\rho\) must be injected by a different mechanism. His computation of \(\rho\) is the point where circularity is introduced in the explanation. If you look back in his post, this comes from his equation 5 which is derived from equation 3. Equation 3 assumes Born rule and is the root cause of circularity in his argument. Per's equation 7 recovers the Born rule in the limit case after assuming Born rule in equation 3 - q.e.d. I really enjoy the ending of your blog, where you admit that I prove the Born from (3). Nice to see! You say that my proof is circular, because (3) is equivalent to the Born rule. Anyone can see that you are wrong. The EQM1 does not contain the word probability or limiting relative frequency or anything else that directly links it to the Born rule. There is not even any mention of the situations that give rise to the problem of probability, the branching into new “worlds”. That is so as branching is emerges only under certain circumstances. EQM1 and 2 can be applied to a universe of only a few particles in which never will see branching into separate worlds. I understand that preconceptions caused by studies of other interpretations might mike you believe that calculations using the quantity (3) is a probability calculation. But, that requires that there is some hidden entity with uncertain properties that (3) gives the probability for. But in many-world theories, there is only an extended object. There is no little marble that has an unknown position. There is only an extended object, the wave function. On the outset, there is nothing to which probabilities can apply. Thus, there is no Born rule. The purpose of EQM1 is to give enough meaning to the theory so that a can be linked to the physical world. There has to be some statement that tells what the state means, else you only have a mathematical theory with no relation to the physical world. Note, in the standard interpretation it is the Born rule that give meaning to the state, but that meaning is different from that EQM1 gives. Although they give rise to the same mathematical expressions, they have different meanings. For example, has the meaning of a probabilistic expectation value in many other interpretations, but in my theory it is the first moment of the density with respect to the variable x. In short the latter can be called the average of x. Its basic definition has as little to do with probability theory as the calculation of the center of mass point of a classical body. The rest of your blog seems self-contradictory. You write, "there is no good way to define probability in MWI". Later you seem to be certain that each branch should be given equal probability. But to come to any conclusion that pertain to the real world, you have to have an interpretation of the state and derive your conclusions from that and the equations of motion. You don’t refer to any such interpretation, thus your statements in favor of branch counting “is taken out of thin air.” That, critics of many-world theories have put forward branch counting to be as good as the suggestions of the proponents has historically been valid as the many world theories have not made any interpretation of the state. That is, their argumentation for the Born rule has also been taken out of thin air, with the possible exception of the argumentation by David Wallace. Finally, how can the statement in a postulate give rise to circularity in the argumentation if the proven statement is not identical to that of the postulate? From postulates, you can sometimes derive equivalent statements to the postulates. If you claim, that EQM1 is equivalent to the Born rule, which I firmly disagree with, that would anyhow be fine from a many-world point of view. It would imply that there is a natural way to postulate the Born rule within many-world theory. Most people would disagree with that, but it is what your statements imply. You're just being ludicrous. There's no way to deduce the statement of the type "the probability of outcome XY is given by the function P(A,B,C) of some initial parameters" without having an axiom that says something of the same kind - that says that probabilities are associated with some mathematical objects. In (3) or EQM1, you don't use the word "probability" but it's just because you're sloppy and (3) or EQM1 is unusable as it stands. You say that "rho answers where the system is in position etc.". But "answers" isn't a well-defined verb. You don't say what the answer actually is - what is the proposition. So your sentence is utterly vague and incomplete. The only way to complete it is to say that "rho is the probability or probability density/distribution quantifying whether the system has one property or another". So EQM1, when cured of its incompleteness and vagueness, does assume and has to assume the Born rule. You're just being ludicrous. If the notion of where something is is vague, than the whole business of distributed charges of classical electrodynamics is a vague concept. What nonsense! Why do you make your remark on probabilities? If you have read my contributions here or my paper, you would actually know that I don't formally prove a statement about probabilities, but that the typical observer has seen relative frequencies that is close to the Born rule value. If the density matrix or the wave function squared doesn't determine the probabilities in your theory, and instead, it is something analogous to a diluted distribution of a continuous charge, then your theory is just immediately falsified by the experiments because the experiments prove that the rho and psi-squared *are* probabilities. You are just a total hack pretending to be a physicist. What is it about Born rule that physicists actually know? We have seen that in measurements the relative frequency of a particular value is given by the (or rather very close to) the amplitude absolute squared. That is what my theory says we should see. Thus my theory agrees with observation and is so far not falsified by experiments. I have proven that the amplitude absolute square appear to be a probability for physicists that believe in a single world outcome. My theory also supports the use of probability theory to analyze quantum physics experimental data. The theory is so far neutral with respect to the choice between Bayesian and frequentist probability theory. That is, for all practical purposes the amplitude absolute square can be considered to be a probability. In the context of this debate, your statement "the rho and psi-squared *are* probabilities" is problematic in two ways. First, in science we can only describe nature. We can do it better and better, but we can never claim that we know how nature really is. Second, probability is a very difficult concept and philosophers haven't yet agreed upon how to understand it. Something's being the probability and something's appearing to be the probability is exactly the same thing from a physics viewpoint because physics studies things that can be observed, i.e. how they ultimately appear. It's pure fog to suggest that one can stand on a third way in between where something simultaneously is a probability and isn't a probability. Since the early years of quantum mechanics, the measurement process that give a stochastic outcome has been problematic to understand in view of the unitary development in all other processes. Any good physicist should be open to that the probability concept that appear in quantum physics is fundamentally different from the classical probability concept. That is, it works in many ways as a classical probability, but fundamentally quantum probabilities is something different. You need to do better then ridiculing that possibility. If you don't find any actual loopholes in my argumentation, then you should concede. Your response is LIKE telling a string theoretician that electrons appear to be a fundamental particle and it is therefore wrong to describe it as a state of string. Something cannot simultaneously be a fundamental particle and not a fundamental particle. I am not ridiculing and I don't need to be ridiculing because it's already more ridiculous than almost all other ridiculous things. There is only one meaning of "probability" which has the well-known frequentist and Bayesian aspects - probability always has them. Quantum mechanics has shown that the predictions must fundamentally be in terms of probabilities. That's it. People had problems with quantum mechanics but it was always their psychological or religious problem, not an imperfection of quantum mechanics. I note your dogmatism and that you haven't found any loop holes in my article. I will not respond further if your level of argumentation don't improve. A loophole is a tiny omitted possibility that the conclusion could be different despite an otherwise meaningful argument. Your paper can't have loopholes because it is an uninterrupted stream of nonsense. To be a little more specific on exactly where your reasoning fails. You write "The only way one can use the frequentist approach is by using branch counting." That is not correct! My derivation is indifferent with respect to which theory of probability is used, frequentist or Bayesian. You can look at the frequencies in the individual worlds separately, but to get anything about probabilities you have to be able to make sense of the set of such frequencies. For that you have to use some rule based on some argument. If the amplitudes of the worlds are the same, then you might use a symmetry argument that the weights used for the different worlds should be the same. However, I think that is a rather sloppy argumentation. We need to do better than that also when the amplitudes are the same. When the amplitudes are not of equal magnitude, how do you argue for branch counting? The value branches correspond to the classical event space, but that do give you anything about probabilities without some assumption about basic probabilities. 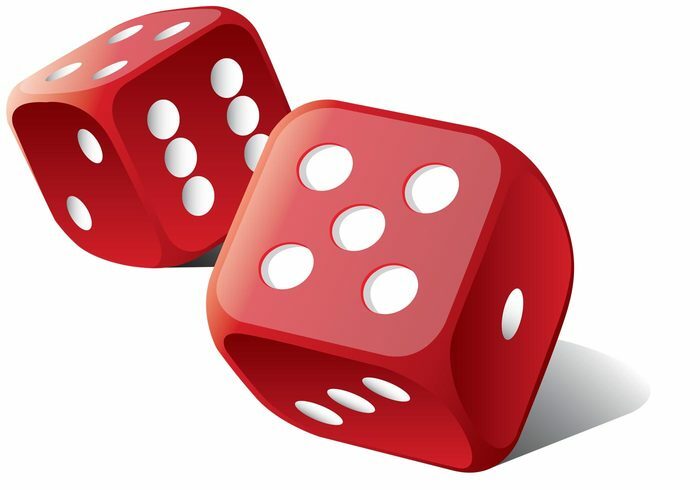 In the case of throwing several dices you can calculate probabilities for getting sums using that every event is equally probable. But, this relies on that the faces of a single dice come up with equal probability. To derive probabilities in MWI you just compare the relative number of orthonormmal worlds for each outcome. If you don't like that approach use DeWitt's 1970 derivation, which shows that the norm of the sum of the worlds in which the Born rule is violated vanishes. It is not that easy to prove the Born rule. Your first suggestion presumes that the probability only depends on the amplitudes. What's your argument for that? DeWitt's approach, which in a more stringent form was given by Hartree in 1968 Am J Phys vol 8 page 704, is heavily criticized in the literature, see S. Weinberg, Quantum Mechanics, and my article http://arxiv.org/abs/1603.01625 . If the only difference between the states is the amplititude, then what else can the probabilities depend upon? My argument is a heuristic, symmetry based argument. I am not interested in mathemetical quibbling, which also seems to be the objections to DeWitt's demonstration - as far as I can tell from your article. Weinberg merely says DeWitt's argument is "a stretch", which is not very helpful. "If the only difference between the states is the amplititude, then what else can the probabilities depend upon?" - It is up to you to be able to argue if you want to convince anybody who doubts the validity of the many-worlds interpretation. You are right that Weinberg's argumentation is not very strong, but that is no reason for your argumentation to be at the same level. There are other better reasons to not buy Hartle's argumentation. In my article I bring up the argument that his derivation is for a coherent state which is quite different from the situation where probabilities arise. See also the article by Caves and Schack. Everett gave a convincing argument as to why the probabilities should be a function of the modulus of the ampltidues alone. My piece is for people who are looking to explain why the probabilities are proportional to the square of modulus of the amplitudes, rather than just the modulus. Nothing more. Everett assumed that the probabilities should only depend on the amplitudes. He continued with showing that the under that assumption it will only be the magnitude that matters and then that it will be equal to the magnitude squared. He failed also to show how probabilities come about in the many-worlds interpretation. Instead, he also assumed the existence of probabilities. It is necessary to show how probabilities arise, else we haven't shown that the many-worlds interpretation describe the measurement process. As I understand Florin's post, the point is that the way probabilities actually appear in MWI contradicts observation and this disproves MWI. Everett's work is not convincing enough to counter such statements. DeWitt's demonstration is the most complete; being frequestist it explains how probabilities arise. It makes no assumptions beyond the axioms of Hilbert space. The objections seem vague; uncomfortable with the infinite limit being taken in the frequentist derivation - but the frequentist approach only becomes rigorous in the infinite limit. My little proof is only intended to be heuristic, not mathematically watertight. DeWitt's argumentation is not complete, and he conceded that Hartle's is the more complete version. But that version was heavily criticized by Caves and Schack. Their argumentation is flawed on all counts but one, but that was enough to kill it. I do not agree with Dewitt that his (& Graham's) proof was incomplete. That aside, what was Caves and Schacks one valid criticism of Hartle, and does it apply to DeWitt? Michael, I was reading your quora proof, and it does not hold water. What happens when there is no degeneracy? Simple counterexample: a S-G device measuring electron spin is rotated at say 20 degrees from vertical, and the incoming beam of electrons has all spins up on the vertical axis. The outcomes are not 50-50 and there is no degeneracy. Actually the problem arises even when there is a degeneracy, since there is no physical reason for the magnitude or power of the degeneracy to match the required degree of subdivision for the demonstration to work. The proof works because the degeneracy is only fictitious or imaginary. We *imagine* each state is split to the required degrees, and then we recover reality by taking the limit as the splitting of the eigenvalues become infinitesimal. Then I can "imagine" that each state is split to a different degree and I recover something different than Born rule. The point when you "*imagine* each state is split to the required degrees" is where you introduce circularity in your proof. Hello, I am back. I will resume my regular posts Sunday night. I will now read the comments and reply to some of them. You can imagine any imaginary degenerate splitting you like, but only the splitting as outlined is *relevant* to the Born rule. Anything you get with other constructions is not relevant. I fail to see the circularity involved. No physical assumptions have been made. "Anything you get with other constructions is not relevant." Because the other constructions do not yield a decomposition into a sum of orthonormal components and an *overall* multiplying factor. You have no overall symmetry to appeal to in deriving the Born rule. Can you prove this? I don't think so. What if I consider the coefficients raised to an arbitrary power "r" to compute the probabilities (pick r=3 for definiteness sake). If the total probability is not one, I renormalize. In the 50-50 case I get the usual answer,but not in the 80-20 case. In my example the coefficients were in the ratio 1:2, which is your S-G example with the numbers in the reverse order. (The overall factor of 1/sqrt(5) was ignored by construction.) You are suggesting I generate new coefficients, by cubing the old coefficients, which would put them in the ratio of 1:8. (The overall factor is now 5^-1.5, which, again, we can ignore by construction.) The relative number of orthonormal worlds is now 1:64 ;therefore the probabilities come out as 1/65 and 64/65, respectively. My system works for any rational coefficients. Irrational coefficients would require some additional Peano construction.